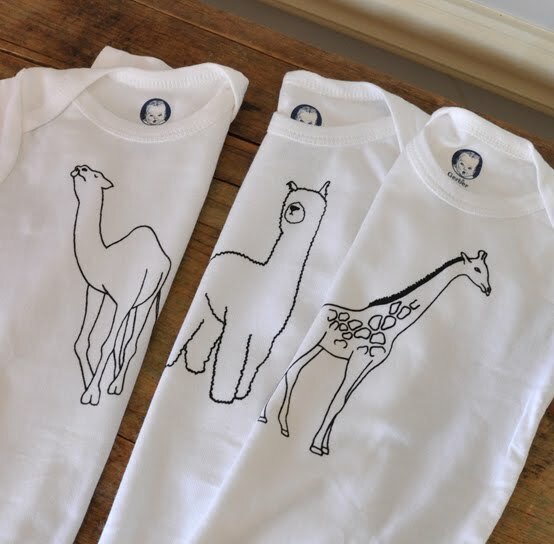 Our animal onesies are now in the shop! We are currently offering long-nosed and long-necked animal 3-packs. 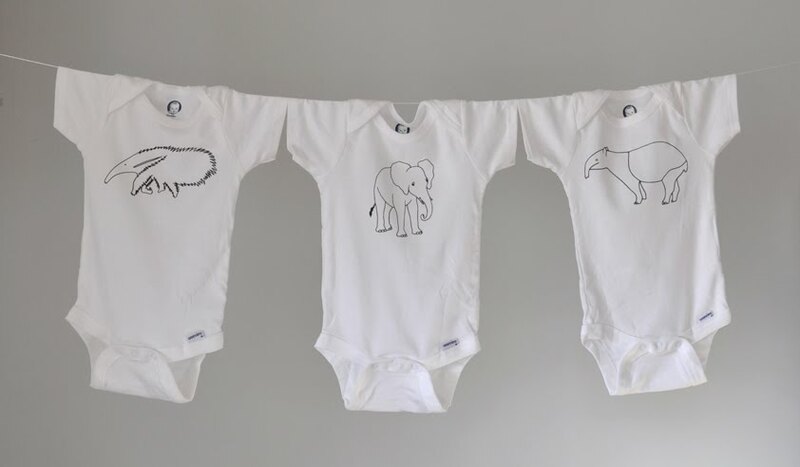 They are made using Gerber tagless Onesies and are available in sizes 0-3 mo, 3-6 mo, 6-9 mo, 12 mo, and 18 mo. Thanks for producing such cool stuff! Thank you (and Kate too) for being such awesome customers!! !